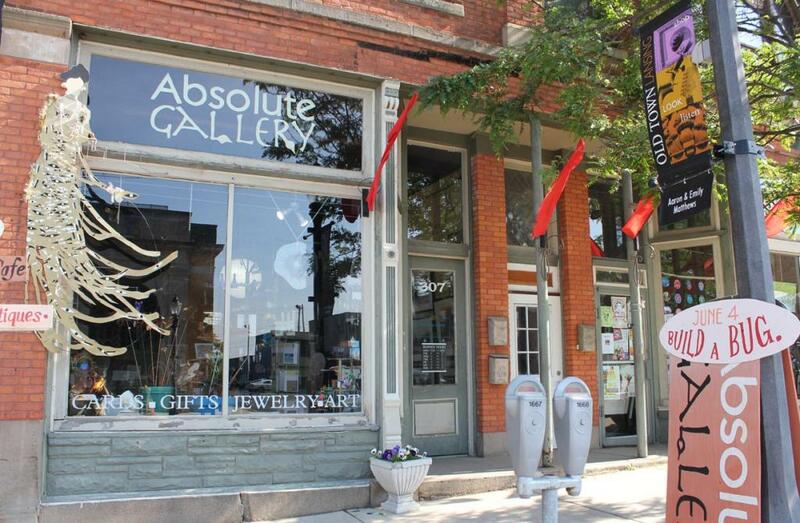 Absolute Gallery, located in the heart of Lansing's Old Town District, features an eclectic assortment of art for all tastes and budgets. With exhibits changing monthly, Absolute Gallery maintains a collection of art representing local, state, national and international artists. With an ever-changing supply of original art, giclees and prints, all art needs can be met. Absolute Gallery is also proud to have over 4,000 frames to select from. We are proud to be the People's Choice Winner for Art Gallery and Custom Frame Shop. Come visit Absolute Gallery for that unique art, framing, gift or card. Absolute Gallery- Absolutely! Absolute Gallery offers computerized mat cutting with many custom and creative designs and styles. Come in and talk to us to see what we can do for you!